I drove on my own for the first time today! LJ has bronchitis and croup (and I have been feeling like crap for the past couple of days) so we’ve been couped up in the house. So to remedy a case of cabin fever, today I decided I was going to put LJ in the carseat and go – even if it was just around the block. And that’s just what I did. I grabbed LJ, strapped him into his seat, and half-heartedly told him to tell me where to go if I got lost (for a toddler, he knows his way around much more than I do). I put the car in gear and reversed out of our driveway and drove around the block as I chanted “stay on the left” and simultaneously prayed to the driving God. We stopped at the supermarket to send off some letters at the post office. Then we took the long way back home – passed the house and decided to go to the casino. No, I’m not a gambler – especially not one to go in the middle of the day with a sick toddler. We went to the casino so LJ could enjoy the beautiful water fountains. My little boy is such an outdoors kid and because he’s sick I don’t want to keep him outside for too long by going to the playground but I don’t want to deprive him of fresh air so the water fountains at the casino was the lesser of two evils. Then we drove back. Pulled into the driveway and let out of sigh of relief. I did it! I’m still not ready to drive into the busy streets of town but I’m glad I took my first step (drive) in the right direction. Oh BTW, the drive wasn’t totally uneventful. I did drive over the curb as I pulled out of the casino parking lot. We have a Holden V8 so the thing is massive. I’ve only ever really driven small cars so I’m still trying to judge the size while driving. Oh well, at least it was just a curb, not another car or person…yet. 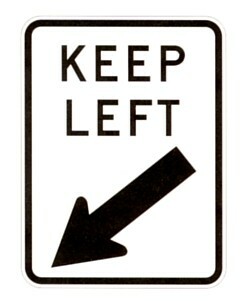 Share the post "Stay on the left"